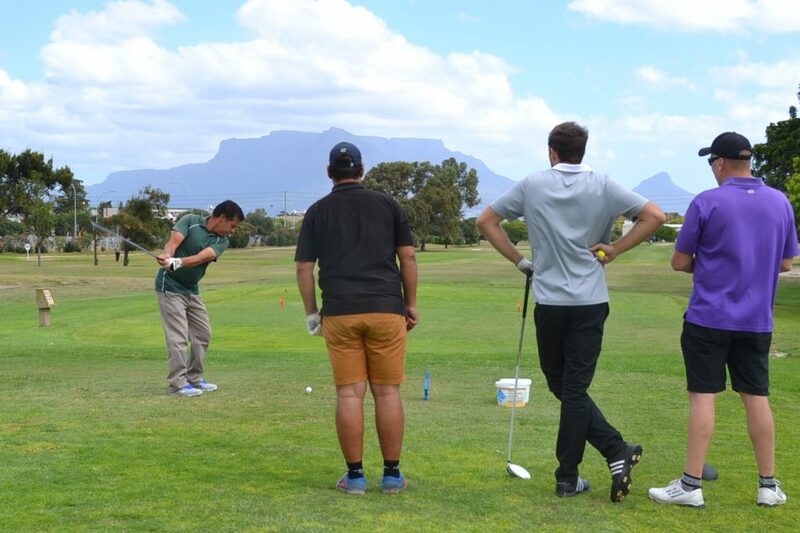 The ECA Western Cape hosted its eighth Annual Charity Golf Day at the Parow Golf Club on 15 March 2018. This year’s event once again drew 108 players and 12 sponsored wet holes on the course. A good time was had by all participants despite the competition from the good old Cape south easter wind. The day ended with a prize giving dinner. 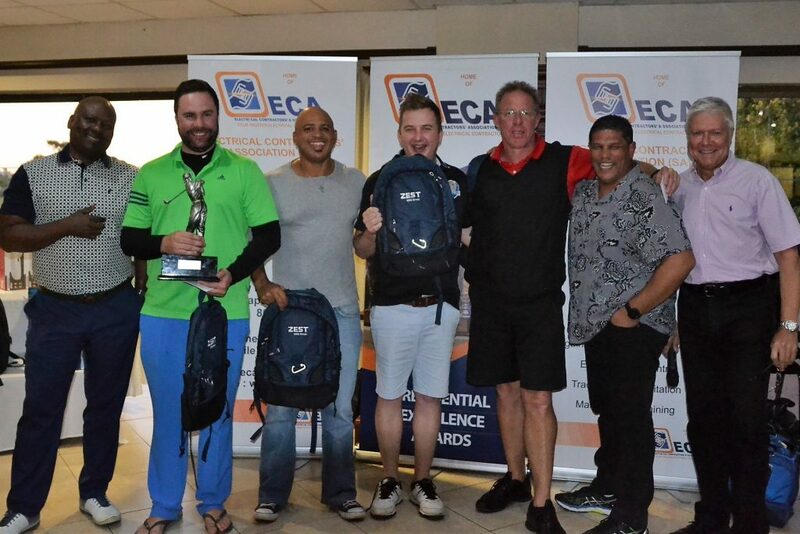 The winners of the ECA Cape Charity Golf Day – Eaton Electric with ECA National Director Mark Mfikoe (on left) and ECA Regional Chairperson Thursdon Duncan (second from right) and ECA Regional Director Pierre Foot (right). 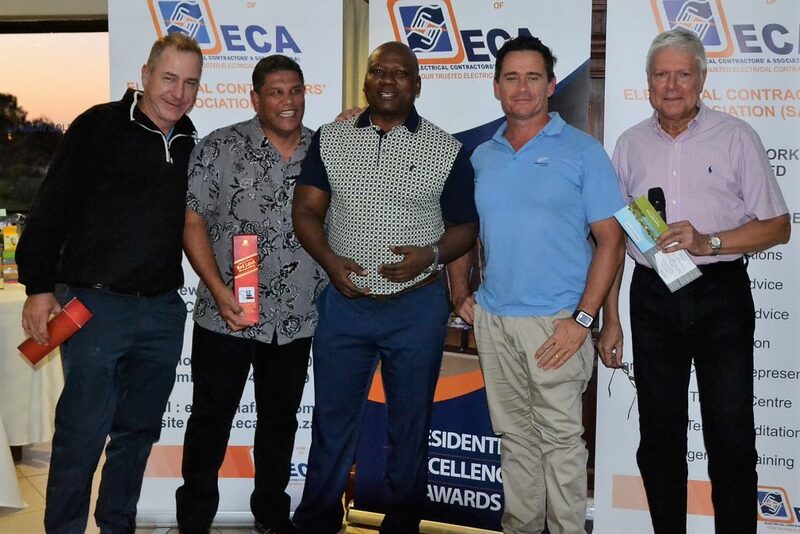 In fifth place was the Bargaining Council fourball, which included ECA National Director Mark Mfikoe and ECA Regional Chairperson Thursdon Duncan. 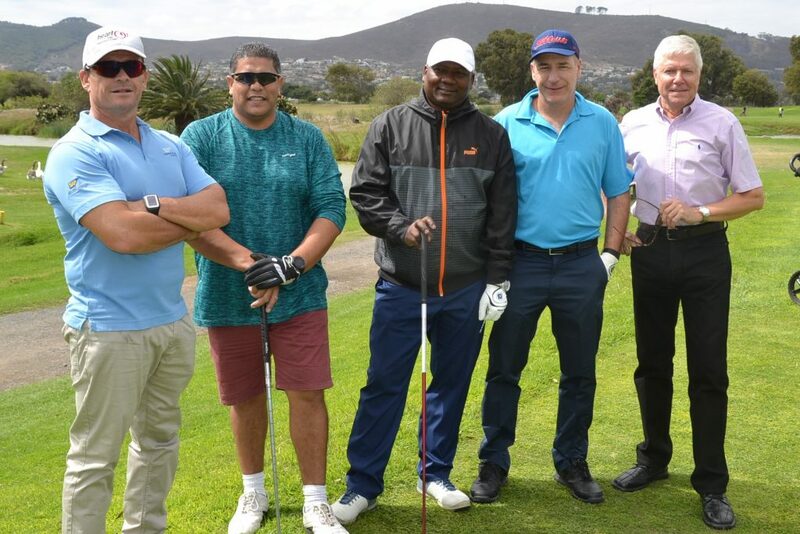 The Bargaining Council’s Fourball with ECA Regional Director Pierre Foot on right.